Your data provides a snapshot of the state of your business and is key to the success of your conversations, decisions, and communications. But all of that communication is lost - or incorrectly interpreted - without proper data visualizations that provide context and accurate representation of the numbers. 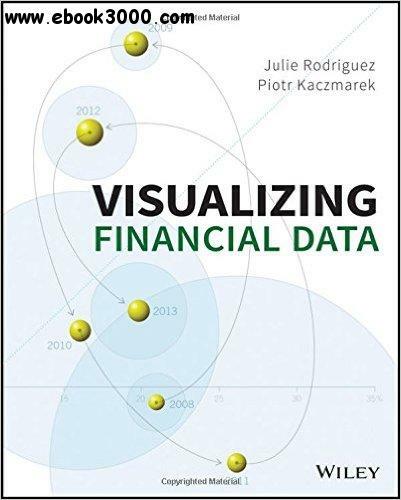 In Visualizing Financial Data, authors Julie Rodriguez and Piotr Kaczmarek draw upon their understanding of information design and visual communication to show you how to turn your raw data into meaningful information. Coverage includes current conventions paired with innovative visualizations that cater to the unique requirements across financial domains, including investment management, financial accounting, regulatory reporting, sales, and marketing communications. Presented as a series of case studies, this highly visual guide presents problems and solutions in the context of real-world scenarios. With over 250 visualizations, you'll have access to relevant examples that serve as a starting point to your implementations. The companion website gives you the illustration files and the source data sets, and points you to the types of resources you need to get started.